NAPLES — Members of the Naples Seminole Community were recognized for their outstanding contribution to the annual City of Naples Christmas Parade that took place on Dec. 6. 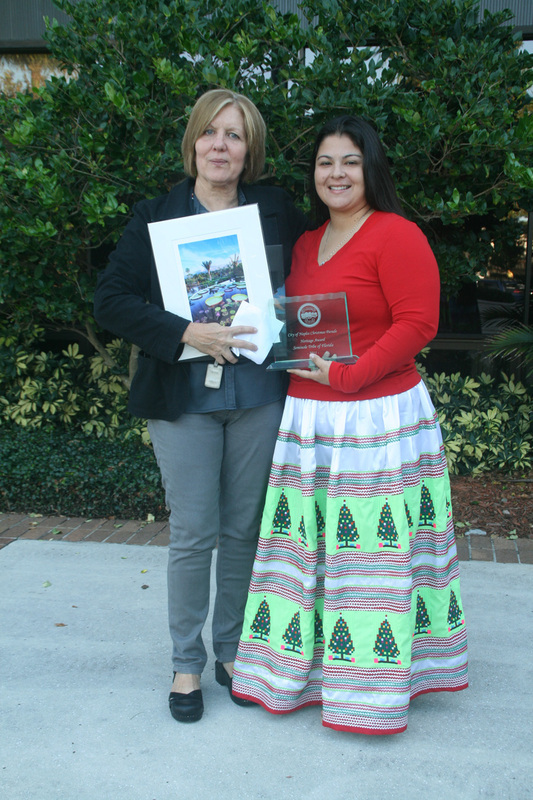 Representing the Juanita Osceola Center, Community Outreach specialist Sandra Osceola and Traditional Arts specialist Christina Billie attended the City of Naples Council Meeting on the morning of Dec. 14 for the awards ceremony. After reviewing 231 entries in the Christmas Parade, a panel of judges acting on behalf of the Naples Merchants Association selected the Juanita Osceola Center as the winner of the 2011 Heritage Award recipient. In addition to a crystal trophy, Merchant’s representative Barbara Sturgis presented Christina Billie with a signed copy of the “Visions of Beauty-Ft. Myers, Sanibel & Beyond” photographic art collection and the “Garden of Dreams” watercolor print. The Heritage category was initiated in 2009 as a result of the participation of the Seminole Tribe in this annual Christmas event that has taken place for more than 50 years. The City of Naples considers the Seminole Tribe an integral part of the history of Collier County and appreciates the participation of the Tribal members. The category carries a broad spectrum of heritage themes covering 150 years of local history. 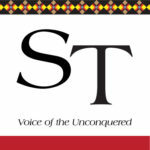 Developing a new theme each year, the Seminole Tribe of Florida has earned the recognition for their enthusiasm and creativity in the construction of their float three years in a row. The 2011 submission featured Christmas in a Seminole Camp. The float carried a cypress tree decorated for Christmas with Spanish moss and colored lights. Beneath the tree a Seminole woman was grinding corn in a log for sofkee while the children played Christmas carols on their musical instruments around the campfire. Also, wearing traditional Seminole attire, Tribal members walked behind the float, distributing candy and treats to the spectators.